BSMMU Job Circular 2019. Bangabandhu Sheikh Mujib Medical University (BSMMU) is the leading Postgraduate Medical Institution of the country. 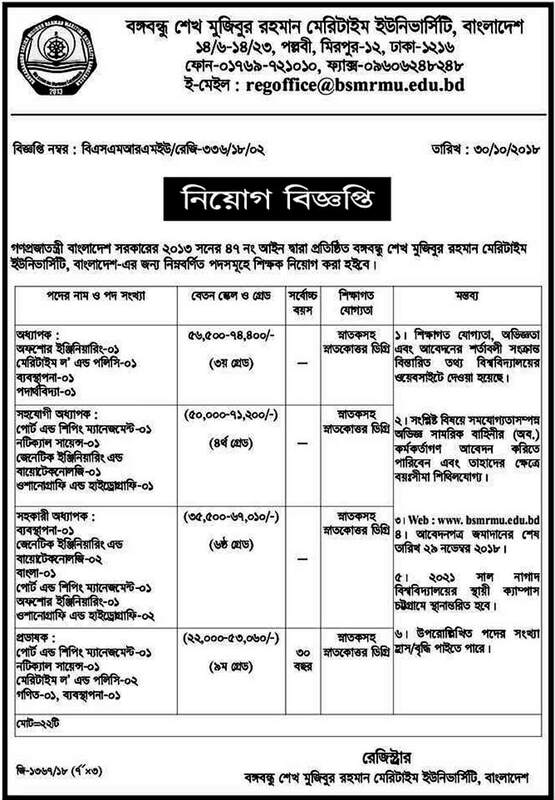 BSMMU will recruit various Posts circulated a Recruitment Advertise on See the attached image job circular for details. Interested and eligible Bangladeshi candidates are requested to apply after fulfilling the circularized conditions and instructions. Deadline for Submitting Application is See the attached image job circular for details. BSMMU is the prominent Postgraduate Medical Institution of the country. It bears the tradition to Institute of Postgraduate Medical Research (IPGMR) which was established in December 1965. In the year 1998, the Government converted IPGMR into a Medical University for expanding the facilities for higher medical education and research in the country. BSMMU will recruit for various Posts. Interested eligible candidates may Apply through 8 copies of the recent passport size color photograph with other related documents (8 Sets) with Bank Draft/Pay Order TK 800/500/200 in favour of Bangabandhu Sheikh Mujib Medical University from Pubali Bank Shahbagh Branch as per the circularized conditions and instructions (above) and will be sent to The Register, Bangabandhu Sheikh Mujib Medical University (BSMMU). Application reaches within office time on or before See the attached image job circular for details latest at 02:30 P.M.